Provides an unrivalled combination of performance, usability and economy. 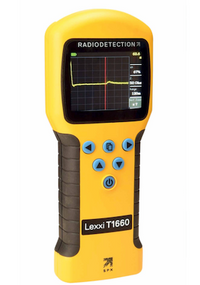 Designed for First Responders, the Lexxi T1660 builds on RiserBond’s and Bicotest’s decades of TDR experience to provide a cable tester whose accuracy, range and resolution gives technicians the tool they need to find faults quickly and accurately. It can be used across a broad range of applications including telecom, CATV and even live 3-phase LV power cables via the optional Category IV Blocking Filte.